This the sequel to Robert Power's novel In Search of the Blue Tiger, whose child hero, Oscar Flowers, has become a seagoing pilgrim after his part in the violent death of the fishmonger, whose murderous twin daughters Carp and Perch are now languishing in jail for their crime. But they are about to be sprung by Angelica, the spoilt daughter of the Tidetown mayor. Mayhem ensues as various other characters and complications come and go, culminating in the arrival of the plague. What with its coastal setting and its small community, there's a strong sense of place in this book, but it has no real-world correspondence either in setting or in time. We could be in any country, in any year. Various words and names suggest people and places from all over the world, and the story reads like a fairy tale. Realism this is not. the values of our common selves. ‘With exquisite prose and riotous feeling, he has created a stained glass window of a book, through which we gaze, as if for the first time, into what it means to live a life. 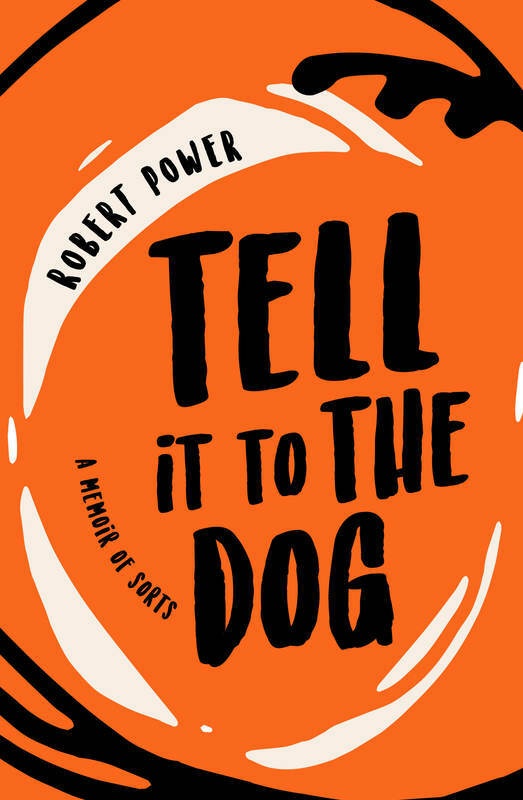 Robert Power was born in Dublin and has spent most of his life based in Britain. 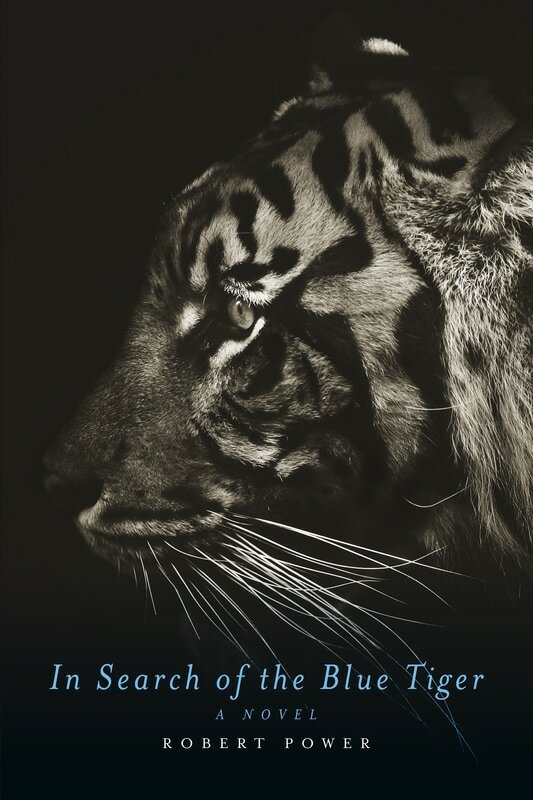 Since moving to Australia he has had four books of fiction published, the first of which, In Search of the Blue Tiger, was shortlisted for the Victorian Premier's Award for an unpublished manuscript. It seems to me that this unusual and often beautifully written new book is the one he has been aiming towards all along: whereas the talent and perceptiveness obvious from the fiction seems at time hampered by generic conventions, this experiment in life-writing comes across as a liberation, an unenclosed work. Tell It to the Dog is organised into six sections, and it's clear why the generic label needs qualification. Few of the usual markers of memoir are present: questions of what, who, when, why and how are left unanswered or at least dealt with out of the usual sequence. Instead Power gives us short vignettes, lyrical or anecdotal, none longer than a couple of pages, some not more than a hundred words. Names are often withheld, reference carefully disordered — there are many "hes" and "shes", but not necessarily the same person: reading here demands that you pay close attention and not jump to conclusions. The earlier sections present a world of drunkenness and violence in Dublin and England, a childhood of midnight flits and neglected pets. One section begins: "When Father comes back from the hospital/sanatorium/mental institution/doctor after the detoxification/antidepressants/electric shock therapy/Antabuse …", and while the father seems an everyday patriarchal ogre, he also comes to seem pathetic, and later in the book some kind of rapprochement is established. There is also the weirdly, almost extravagantly atypical: the boy and his mother sharing an obsession with ancient Egypt, for instance. Power has set out not to write a misery memoir: not least because alongside the dark material there is lyricism that could come from anyone's childhood, and at the end of the second section he says he used to tell the story of his life as the story of a victim: "It was easy, even natural, to fall back into this narrative: a comfortable shoe, well-travelled, snugly fit." But now he has resolved to tell a different story, of hope and redemption. What the fragmentary style does is help Power avoid making that shift seem too facile, too easily uplifting, even as it also avoids unrelentingness. Power may unambiguously, even blatantly, announce what he is trying to do, but he still goes about doing it in a stealthy way. The fragmentary style also lets other experiences in, as if on an equal footing with the narrating I: that may be what all those hes and shes are about: a democracy of experience, in which one may be both individual and representative. As the book progresses its attention shifts outwards, and becomes rather like a discontinuous travel narrative of a peculiarly deglamourised and deromanticised form. Power's pre-literary career in public health and AIDS prevention has taken him around the world. This progress, from a hard childhood to an adulthood of public service, is a moving one: the hope and redemption turn out to be real things, for a change. 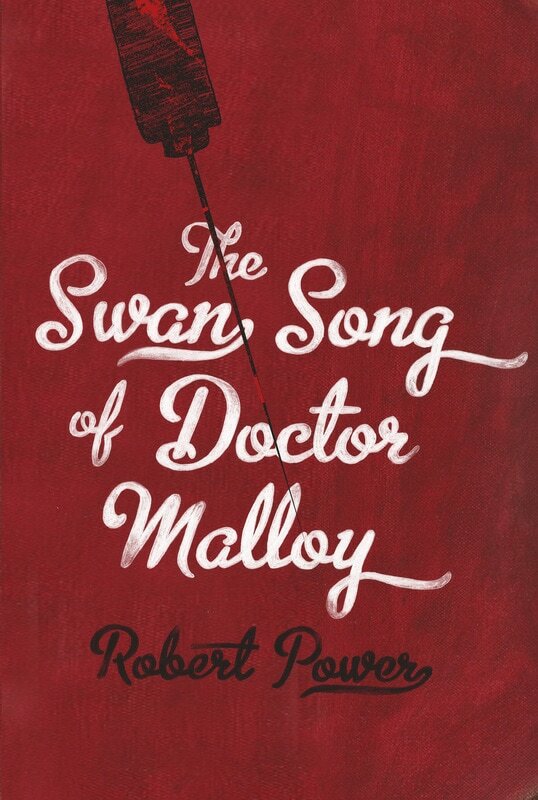 'It seems that Dublin-born Robert Power is no stranger to the theme of loss. Power, now living in Australia, has created in ‘Meatloaf in Manhattan’ a profound study of loss in all its forms, spanning across generations, lands, cultures, and even alternate worlds.In Manhattan, a waitress in a late-night diner is given a brief respite from her loneliness, only to have it snatched away from her; a cyber-superstar loses her fandom but finds solace in actualising a dream into a reality; a son loses his mother in Vietnam; another son loses his mother to madness; and a father loses his son in the tragic tale of ‘Synge’s Chair’, a story that will remain with you long after you turn the last page. In each of these small explorations, Power carefully examines how his characters address the difficulties that life throws their way, be it from a place of acceptance, strength or despair. Despite this recurrent theme, the 16 tales that make up ‘Meatloaf in Manhattan’ do not leave you reaching for the whisky bottle. Each story is imbued with a ray of hope; even Charlene, the waitress in the title story, finds solace in the dancing snowflakes that fall around her as she closes the diner for the evening, or at least I like to think she does. One of my favourite shorts in this collection is ‘The Postman Gets a Letter’. The Postman is a beautifully realised character who has a secret of his own and it is amusing to wonder about the impact of his secret on the lives of so many people. There could be another set of stories in that. Power has an assured voice, one full of intelligence and empathy. A couple of years ago Robert Power won The Age Short Story Competition for the titular tale of this collection of stories. It’s a good indication of his skills that the other 15 stories are also fine examples of the particular art of short fiction. He sets his protagonists in random places, from Melbourne to New York to Vietnam and their connections with other people are minutely observed. Whether it’s playing around in virtual reality or eking out a hard-scrabble existence on rural backwaters, his book is nuanced and touching. 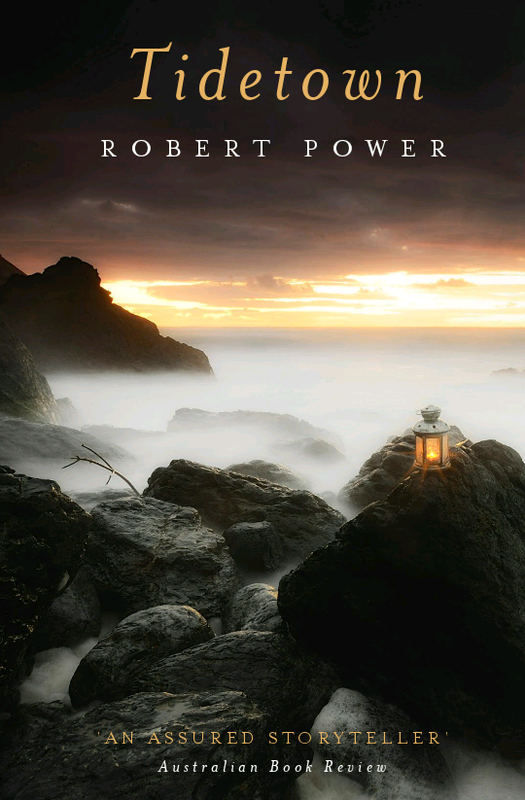 It seems that Dublin-born Robert Power is no stranger to the theme of loss. 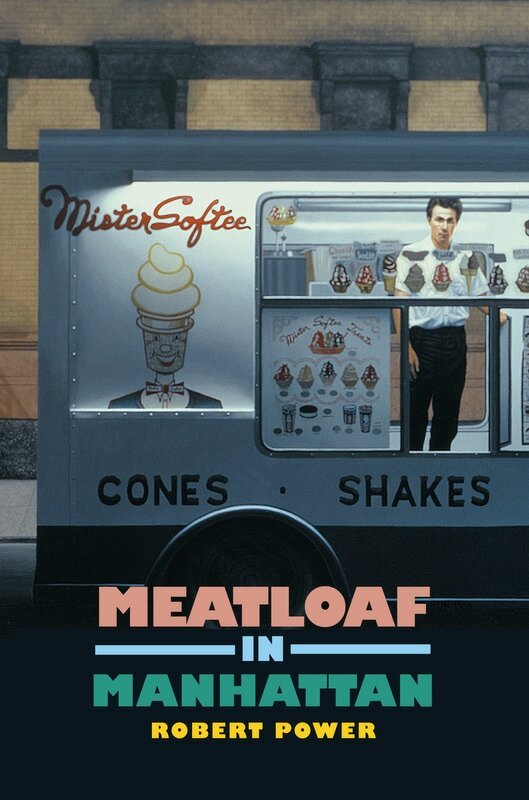 Power, now living in Australia, has created in Meatloaf in Manhattan a profound study of loss in all its forms, spanning across generations, lands, cultures, and even alternate worlds. In Manhattan, a waitress in a late-night diner is given a brief respite from her loneliness, only to have it snatched away from her; a cyber-superstar loses her fandom but finds solace in actualising a dream into a reality; a son loses his mother in Vietnam; another son loses his mother to madness; and a father loses his son in the tragic tale of ‘Synge’s Chair’, a story that will remain with you long after you turn the last page. In each of these small explorations, Powers carefully examines how his characters address the difficulties that life throws their way, be it from a place of acceptance, strength or despair. Despite this recurrent theme, the 16 tales that make up Meatloaf in Manhattan do not leave you reaching for the whisky bottle. Each story is imbued with a ray of hope; even Charlene, the waitress in the title story, finds solace in the dancing snowflakes that fall around her as she closes the diner for the evening, or at least I like to think she does.